RELATED: FHCSD Trains, Recruits Doctors To Serve Poor Amid Growing Shortage, a story by KPBS – watch here. RELATED: Resident Is Laser Focused On Helping Others, a story by AAFP – read here. 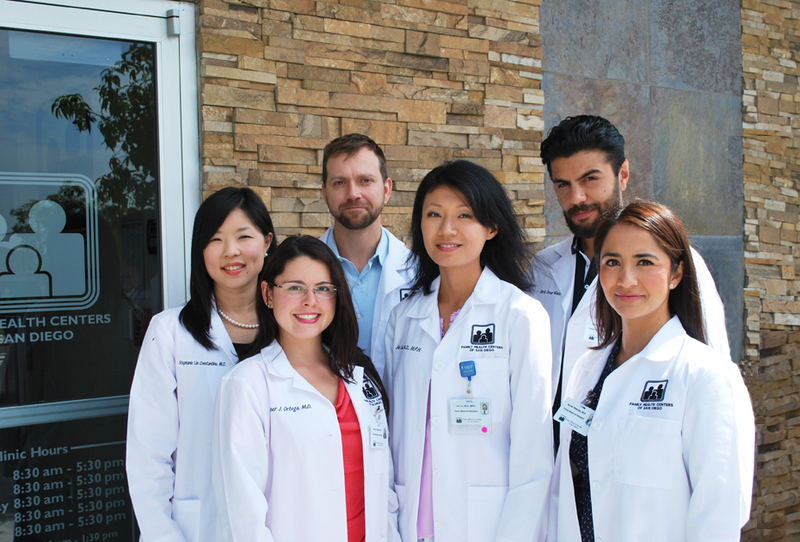 Welcome to the Family Medicine Residency Training Program at Family Health Centers of San Diego (FHCSD). I appreciate your interest and invite you to learn more about us. FHCSD is dedicated to providing caring, affordable, high-quality health care and supportive services to everyone, with a special commitment to the uninsured, low-income and medically underserved persons. The mission of the Family Medicine Residency Training Program is to recruit and train physicians from diverse backgrounds who are interested in providing care to the underserved communities of San Diego, while providing high-quality, broad-based clinical education and experience. We are in the midst of a health care workforce shortage. In 2009, the Affordable Care Act set aside approximately $230 million dollars to encourage the development of primary care residency training in ambulatory health centers, community health centers and Federally Qualified Health Centers. Research has shown graduates from these programs are more likely to practice in underserved environments, which significantly impacts the healthcare workforce shortage in a positive way. Our Family Medicine Residency Program is a community-based training program located in the City Heights neighborhood of San Diego. City Heights, the most ethnically diverse community in San Diego and one of the most ethnically diverse communities in the nation, is called home by a large number of Latino, Somali, Vietnamese and Cambodian peoples. The clinic, which houses our residents’ continuity clinic, provides approximately 65,000 patient visits annually and has both the Joint Commission Patient-Centered Medical Home Designation and NCQA Level 3 Patient-Centered Medical Home Recognition. City Heights was selected by the California Endowment as one of 14 Building Healthy Communities sites in California. The sites were chosen “based on social determinants of health data used to identify areas that are impacted by poor health outcomes, but have the potential to inspire policy changes to create a healthy environment for all Californians.” What better way to understand the impact of social determinants of health and learn how to improve health care outcomes than to practice in an underserved environment where those determinants are front and center? Our core curriculum for residency training is within our FQHC system. We partner with Scripps Mercy Hospital, Rady Children’s Hospital and University of California San Diego Medical Center for inpatient medicine, surgical and elective experiences. Rady Children’s Hospital is the largest children’s hospital in California and is ranked in all 10 pediatric specialties surveyed by U.S. News & World Report. Scripps Mercy Hospital, which cares for an urban underserved population where approximately 75% of patients are uninsured or underinsured, is recognized for high performance in 12 specialties. Additionally, FHCSD serves as a primary teaching institution for the University of California San Diego, School of Medicine, UCSD Pediatric and Medicine Residency Programs and the Scripps Mercy Transitional Year Residency Program. We have several unique curriculum tracks. Our HIV track allows for residents to have a longitudinal experience in our HIV clinic and, upon completion, our residents sit for the AAHIVM certification exam and are able to practice as HIV specialists. Through our Global Health Area of Concentration, residents learn how to build capacity for refugees, participate in an international elective and attend the AAFP Global Health Summit. Residents on our Sports Medicine Track participate in longitudinal Sports Medicine Clinics with our Sports Medicine faculty and attend the AMSSM National Conference. More information on these experiences is available on our website. Community-based ambulatory health care is the future of medicine in the United States, and we are excited to lead the way. Our program provides the highest-quality education in a real-world setting to improve the health disparities of our community’s most vulnerable patients. If community medicine, underserved medicine, social determinants of health and improving healthcare disparities and healthcare workforce shortages energizes you, I invite you to apply! FHCSD – Where YOU can be Exceptional in Every Way!